Coach, Inc. is an American company producing luxury leather goods. They produce leather handbags for women, mostly. Other than this, they have also initiated manufacturing briefcases, luggage, wallets and even other accessories of leather. There are about five hundred stores of the company in and around Canada and the United States. The company was inaugurated in the year 1941, in the region of Loft, New York. It was then under a partnership known as Gail Manufacturing Company. The company then changed its name into Coach Products, Inc in 1970's. Headquarter of the company is presently located in Manhattan. They have even launched an on-line store in the year 1999. 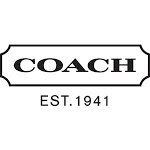 There are currently 1 consumer reviews about Coach, Inc available. Share your review. Good morning Mr. Frankfort I contacted coach official office before I placed a 500.00 purchase from a website I thought was coach factoryoutlet.com. I didn’t realize that the web page I was on was along with eight bags I had in my shopping cart: http://www.icoachfactoryoutlets.com/Coach/Checkout/Cart . I would had been buy counterfeit Coach hand bags. If, I didn’t inquire about this bag along with several of the other colors in patent leather, I would have never guess that these weren’t authentic bags. Take a look that it even carries the coach emblem on it. If, the copycats are making patent leather bags using coach name in navy, brown and other various colors, why doesn’t coach do the same as part of their fashion?? I am sure both Jane Nelsen and Sarah Dunn along with your other female staff would love to use some of the Spring fashion. Sometime you have to go outside the box and even check with some of the women who hand all the paper work and book air reservation. There opinion should count as well. Thank goodness I placed a call to the call New York headquarters before entering my credit card information. Please take a note that you are about to post a public review about Coach, Inc corporate office on CorporateOffice.com. This review will be public, so please do not post any of your personal information on this website. If you would like to contact the corporate offices of Coach, Inc, please use their contact information such as their phone number, website, and address listed above to contact them. However, sometimes staff from Coach, Inc headquarters do read the reviews on this website.